Aurora (Briar Rose) and Prince Phillip, easily my favorite Disney Couple. Everyone knows who they are, but how many know their true love story? Photo courtesy of Disney Wikia. They met for the first time at her christening, where their parents bethrothed them to each other. On the same day Maleficent cast her evil spell which was meant to kill Aurora on her 16th birthday when she pricked her finger on the spindle of a spinning wheel. Thankfully Merryweather had not bestowed her blessing on the young princess and she changed Maleficent's spell to a sleeping spell, where Aurora could only be awakened by True Loves Kiss. Trying to protect Aurora; Flora, Fauna and Merryweather convinced King Stefan and the Queen Leah to send her to live with the fairies in the woodcutter's cottage in the forest until after sundown on her 16th birthday. Briar Rose, as she was called by the three fairies, was beautiful and kind and had many friends in the forest. On the morning of her 16th birthday the fairies send her to pick berries in the forest while they plan a surpirse party for her. Which leads us to the video and what happens when Aurora and Phillip meet for the second time. Video courtesy of Feel Like a Kid Again - You Tube. They meet again in the forest and fall in love - neither knowing who the other really is. Unfortunately, the fairies use magic to create the perfect party for Briar Rose which tips off Maleficent's Raven to their whereabouts. Totally smitten with the peasant girl, Phillip goes to his father and tells him he wants to break his bethrothal to Princess Aurora so that he can marry for love. He proves his love by risking his own life to fight the evil Maleficent in order to save the girl he loves. Finally, after defeating Maleficent he breaks the spell with Loves True Kiss. No one else tells a love story quite like Disney do they? Sigh. 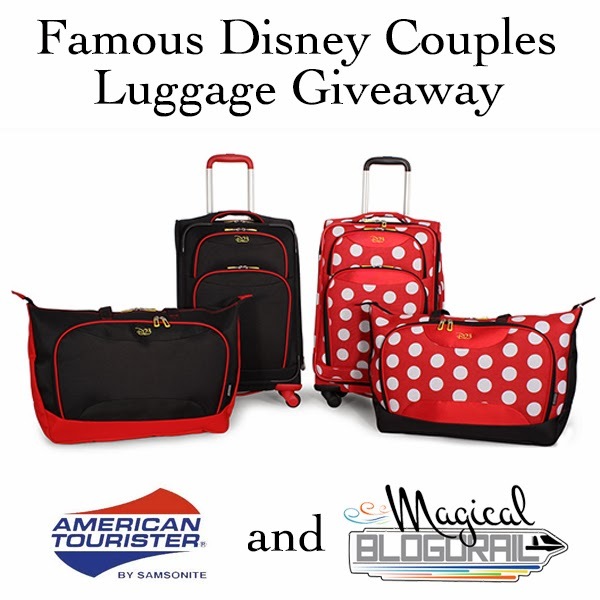 Enter to win a Disney inspired D23 2-piece luggage set. No purchase necessary to enter. Just read about a famous Disney couple and answer the question in the post. There will be a new post daily through February 7th so keep checking back for additional chances to enter. There will be two winners in the giveaway. Each winner will receive a Disney Inspired D23 2-piece luggage set valued at $100. Design winner receives will be chosen at random. Contest begins Jan 27th 2014 and ends February 14th 2014 at midnight EST and is only open to U.S. legal residents 18 years and older with valid email address. There will be a new blogger posting daily through February 7th so keep checking back for additional chances to enter. To enter the giveaway today just answer the question below. The Disney Couple Giveaway questions is What two items do Flora, Fauna and Merryweather give Phillip to use in his battle with Maleficent? Remember to answer it in the giveaway entry app from PromoSimple below to get credit as an entry into the giveaway. Good luck & have a Magical Day!! I'm ashamed to admit this to you, Donna Kay, but I don't think I've ever watched this movie in its entirety. It's because Maleficent totally freaks me out! I'm glad you chose them as your couple today because it was nice to get such a positive spin on the movie! Maybe one of these days I'll give it another chance! Maleficent is definitely scarry Heidi! I love the movie and I love this scene where they meet in the forest. Another is the scene where the fairies are getting ready for her party - Google it. Really Heidi? It's in my top three princess movies! Donna, this is such a great post to remind us about the back story of Aurora and Phillip, especially with the new Maleficent movie coming out! Your post makes me want to watch it again! awesome job! I love this post. What a great love story!! Great post, Donna! Thanks for sharing all about Aurora and Prince Philip! Thanks Mike! Loved your post today!! I love the movie Sleeping Beauty and it is mainly because of Maleficent but the love story between Aurora and Prince Philip is great. Dawn it's too bad you aren't close enough to come to my #DisneySide @Home Celebration - it's a Disney Villain theme. I was thinking of doing a Disney Villain theme too. 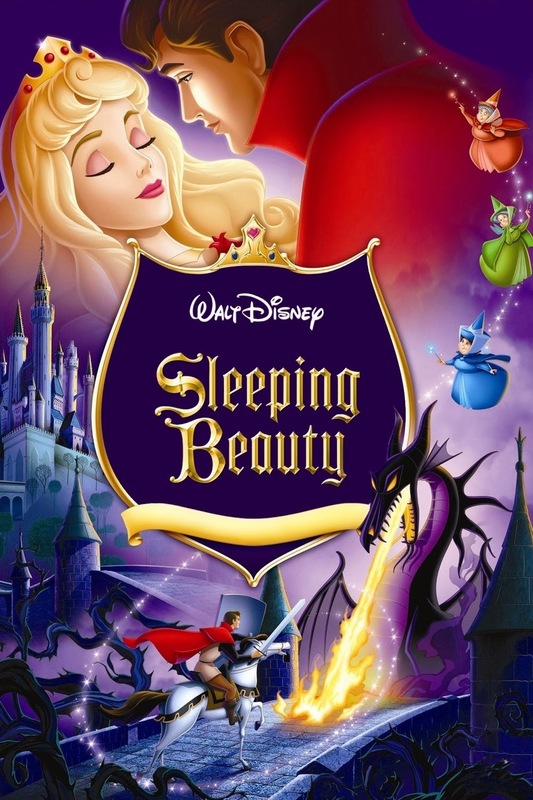 I just read that today is the release date of Sleeping Beauty - great timing. Any story that revolves around True Love's Kiss can't go wrong! Goodness, yes! 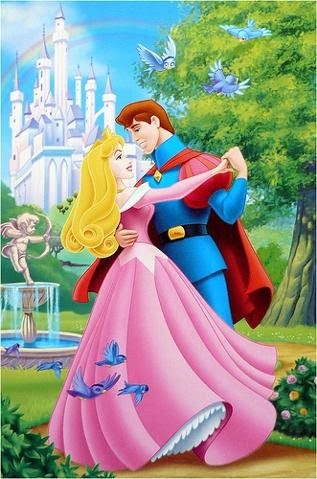 Disney is definitely the master of the love story, and Aurora & Phillip's tale is one of my favorites! Aurora has always been the most beautiful princess to me, especially when she was Briar Rose. Definitely my favorite couple!! Thanks Didi! Who doesn't love a handsome prince!! I always forget about them. And I really did enjoy the movie. They really are a classic couple. They really are overlooked a lot Mary. I think it's partially because most parents today grew up with Ariel and Belle. Sleeping Beauty has always been my favorite princess film. The animation is gorgeous and I've always been a Maleficent fan. Can't wait to see the new movie featuring her. I agree Melissa, the animation is different from any other Disney film, the music too. I love it and could watch it over and over. I love this movie - I saw it for the first time (that I remember) in the past few years and fell in love with it! Thanks for sharing! Jenn I saw it for the first time when I was a little girl - maybe 6 or so - at the theater. It was the beginning of my love affair with all things Disney.